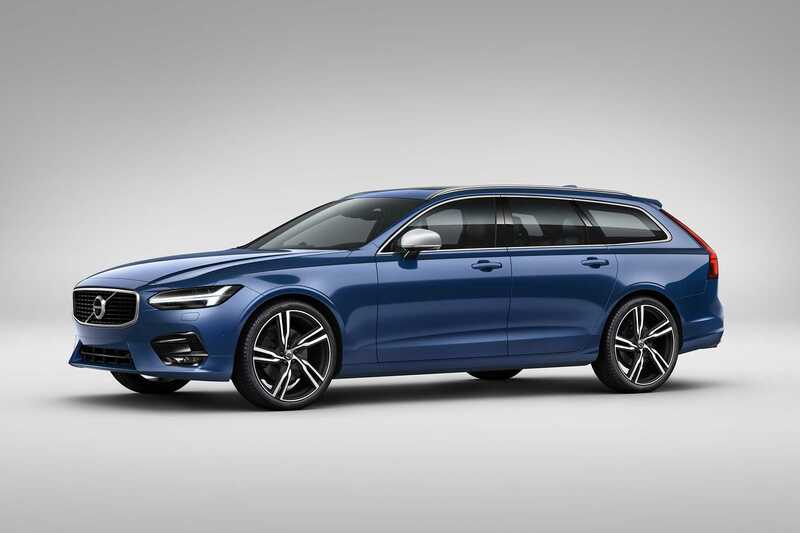 Sporty designs are always the rage and Volvo has added the new R-Design lineup for its S90 and V90 models. The 2017 S90 sedan and the V90 wagon are going to look much sportier to delight its ardent patrons. The R-Design models of the 2017 Volvo S90 and V90 are much better than the Momentum and Inscription variants. However, we can confirm the same only when the cars roll out and it is possible to test them in proper conditions. Despite all these notable changes, it is not going to be a direct competitor for the BMW M5 series. In order to be the direct rival for one of the most popular models from BMW, Volvo has to launch the tweaked Polestar variants of the S90 and the V90. They are definitely a notch up when it comes to raw performance. Exterior design changes are aplenty in the new R-design version. The front fascia is adorned with unique grille accentuated by piano black accents which seamlessly flows into the fog lights and the five spoke alloy wheel design. Both these models use a unique combination of metal and carbon fiber trim. Carbon fiber is the most preferred component for modern day cars as it is versatile, robust and makes it easier to come up with sporty designs. The cars are also equipped with sports seats for maximum comfort and has a revamped steering wheel attached to paddle shifters. The entire setup is very similar to the XC90 R- Design. The models will be available in all regions within the United States. Powertrain options provided by the auto manufacturer include 2.0-liter turbo four engine with 250 horsepower and a 2.0-liter I 4 engine with 316 horsepower. The I-4 powertrain is used specifically in the T6 AWD models. The top of the line is powered by a T8 plug-in hybrid model capable of rendering a total of 400 horsepower. There is no word on the official pricing of the models yet. It should be announced soon before the release date.